Moving from 2012 into 2013 brings a recommitted interest in improving PCi's product and capabilities. Printed Circuits, Inc. (Minneapolis, MN) has made a number of upgrades to improve their products. Items of note are a new die punch, a new conveyorized microetch line, improvements to the lamination layup clean room, and an overhaul of the HVAC system. 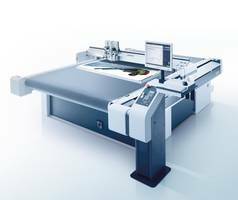 The new die punch frees up a significant amount of laser time for product that doesn't require that level of accuracy. The microetch line will increase wet processing productivity. The class 10,000 lamination clean room was upgraded with two HEPA filtered laminar air flow stations with ionization bars to eliminate static electricity build up. The upgrades were followed with a complete HVAC system cleaning and overhaul throughout the plant to include filtration on the intake and filtration on all of the vents throughout the entire facility. The lamination layup and HVAC system upgrades were made to achieve a significant reduction in foreign objects in circuit boards. Ken Tannehill, CEO and Owner, stated "The class 10,000 clean room was a good start, but these improvements should have additional effectiveness in reducing unwanted contaminants. We have customers that have zero tolerance for any contaminant, whether conductive or not. Those requirements drive us towards continuous investment in our facility and processes. We expect to see marked improvement in these areas." If you would like to learn more about high reliability rigid flex considerations, design recommendations, buried passive rigid flex circuits, or UL qualification on rigid flex, please call or e-mail Bob Burns at (952) 886-9307, or Bburns@PrintedCircuits.com, or visit www.PrintedCircuits.com. 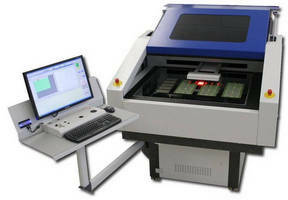 Benchtop PCB Depaneling Router performs clean separations.